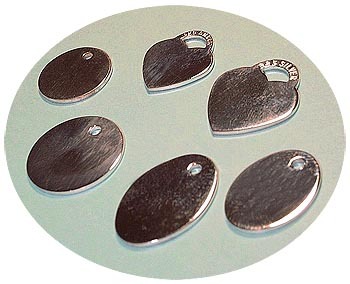 These heavy polished blanks are especially suited for engraving. These tags are die cut from clean, smooth sterling sheet. This image has been digitally textured in PhotoShop to mute reflections.